1. You may check the selling prices of comparable homes in your area of interest by speaking with your real estate agent. Your agent can give you a general idea of what you should expect to pay and may also direct you to websites where you can do a search of the Multiple Listing Service for homes that meet your criteria. LDSAgents.com has over 3,000 realtors across the USA and Canada who can help. 2. Your real estate agent will be able to recommend reliable lenders to speak to regarding a home loan. 3. There are many variables that can affect your interest rate. Your lender will be your ultimate source in helping you decide what kind of loan is best for you and what you can afford. 4. Know that your house payment may well include items like homeowner’s insurance, mortgage insurance (PMI), property taxes, and homeowners association fees. These costs can vary widely from state to state and location to location. 5. 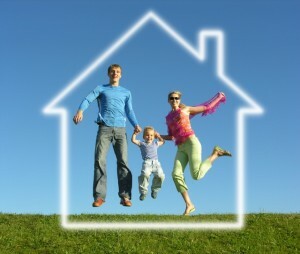 If you obtain a home loan, there will be closing costs associated with it. These upfront costs shouldn’t be overlooked. Closing costs include origination fees charged by the lender, title and settlement fees, taxes and prepaid items such as homeowners insurance and homeowners association fees. Again, your lender will be your valuable guide to these matters. 6. Last, but not least, consider a payment plan that enables you to pay off your home as quickly as possible. Paying off a home over 15 years rather than 30 can save you tens of thousands of dollars. One way to do this is to take out a 30 year loan (to guarantee lower monthly payments) and then make additional payments along the way as you are able. Talk to your lender about it.